There is an indoor Chinese market that I frequented as a child, where I could walk through swinging glass doors and be immediately transported to my grandfather’s country. This market housed the barber to whom my mother took me for my first haircut, the stall where my father would buy gleaming tins of fried tofu and noodles for big dinners, the char siu butcher whose stench I could never stomach, and the dress shop that I’d flee from my mother to admire instead. Worn tarps draped over a pile of cassava buzzing with flies form a makeshift roof. The ground is stained concrete with a slight sheen. Rising and falling above the hum of meat freezers are the abrupt halts and rapid inflections of Cantonese and Mandarin, as natural to the place as any one of the pillars rising to the ceiling. There are no pretenses here. Everyone is as comfortable in their own skin as they’ll ever be on this side of the Pacific. They speak their language, sell their food, and play their music against the backdrop of Vancouver rain rattling against the grimy skylights. As a little girl, I was perfectly comfortable wandering in and out of the stalls, clutching a sweet-smelling raisin twist from the Asian bakery in my left hand; if I close my eyes, I can still picture the twists and turns of every hallway and stairwell. It wasn’t until I was older that I realized that every sign displayed lettering I couldn’t understand. When I think about the town I grew up in, this market is one of the first things that comes to mind, because of what it represents. 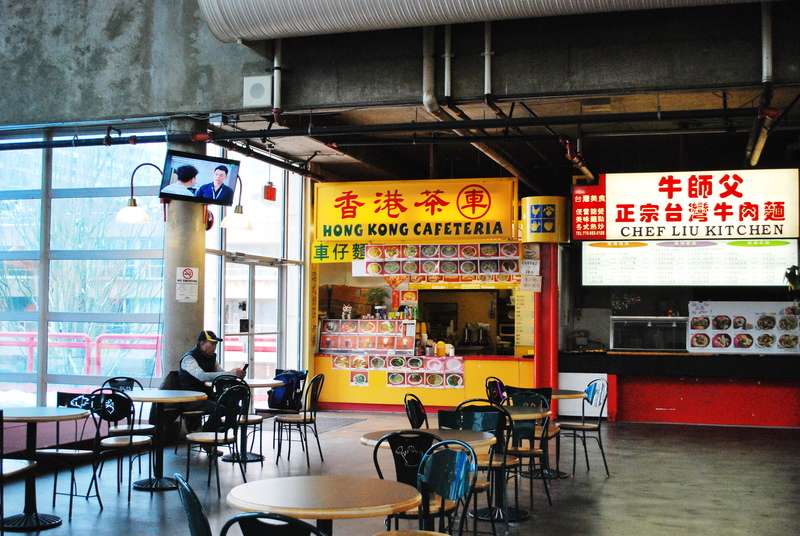 A home away from home for many, I suppose, like the rest of the Chinese-Canadian city rising around it. But to me, it is emblematic of a settling sense of half-belonging that seemed to trail me wherever I went, like I was of neither here nor there, just familiar enough, but never fully able to claim anything as my own. This haze of feeling also hangs over my relationship to the only home I’ve ever known: Richmond, British Columbia. Richmond rises up from the mudflats of an island named for a showgirl, cradled by two arms of the Fraser River, just over the bridge from Vancouver proper. Its census places it as the North American city with the largest proportion of Asians, prompting the offhand joke or two about Canada’s real biggest Chinatown. Most of its inhabitants hail from the skyscrapers of Hong Kong or the vast expanse of the Chinese mainland, and that heritage bleeds into every realm of the city’s life. It’s a city of paper-thin cherry blossoms in May and watercolour sunsets in August, but now that I’ve left for the rush of Toronto, I remember home best in the lull of its mid-autumn rain. Come October in Richmond, umbrellas bloom along every sidewalk, and bus windows eagerly fog to play canvas to children’s paintbrush fingers. Most of the trees have already surrendered their leaves, carpeting the streets outside bubble tea cafes in red and gold. And when the rain lets up, the air goes crisp and the mountains in the north come into sharp clarity, peaks dipped in pristine white. These memories, though, are a glass paperweight run smooth by time and distance; they hold the old fluttering sense of disbelonging, forged in my time there, firmly down. My school years saw me pass through cliques of kids who’d break into their parents’ languages when they were most excited, slinging playful insults at each other high enough over my head to graze the ceiling. Nearly everyone I knew seemed to inhabit their identity with a natural ease that, for me, felt as futile as trying to catch rainwater in open hands. I was never Chinese enough to chime in or even follow along. They knew, and nudged me over that line into another box marked with ‘Filipino,’ after the blood that I inherited from one great-grandparent whose name I never learned. I grew up believing I was ‘other.’ To this day, I wear the Chinese seven-eighths of my heritage like an old pair of boots never quite broken in; after all this time, they still don’t sit quite right, and I don’t know how much further I have to walk before I stop blistering. It wasn’t any easier trying to settle into the other side of my heritage. Some days, I’d catch friends tossing the label ‘Filipino’ at someone who’d come back too tan from vacation. They’d start when they remembered I was there, eyes wide as they tried to patch it with a quick, “Not like you. You’re… caramel” — as if that made any sense, a sweet for a nationality. By the time I was nine or 10, I’d already developed the sense that my hometown was a place removed from the real world, and that I was no more than an observer passing through it. Maybe it began when I noticed that my sense of self seemed to drift while everyone else’s appeared anchored, and bled from there to tint my perception of all I encountered. 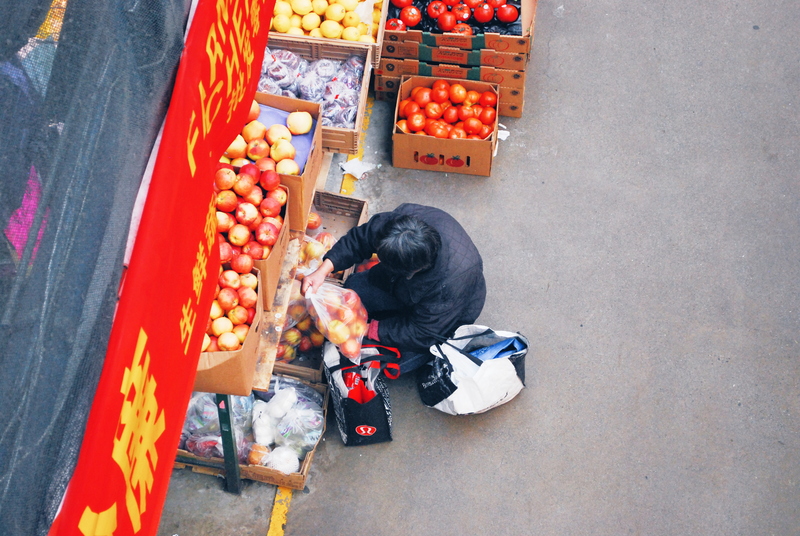 The city around me seemed to stand still, every day running parallel to the ones before it; it was a sleepy, blue-tinged bubble of a world, punctuated by shrieking seagulls overhead and glowing signs at Asian grocers. It didn’t resemble anything I’d ever seen in ink or on screen, or anything that the world had given its golden stamp of approval to. Even the people had different skin. I remember thinking that someday I’d make it out to the real world where the people were. California, maybe, but probably the pulse and grit of New York City. All I had to do was wait; only then would my life begin. I waited for a long time. Passed the years between the pages of books I’d picked out from the library, inhabited worlds where nobody seemed dampened by the same alienation that I felt. And so, I came to believe that finding someplace like that would finally lend me the sense of comfort that I’d spent my life straining toward. I began seeing the buildings of other cities reflected in the puddles of my own, until the world beyond tiny Richmond captivated my imagination in its entirety. Even the promise of a week spent someplace else was promise enough. “Hey, Chinita. Chinita linda¡Vete aquí!” I was 17 years old, and it was March in Havana. Wandering the cobblestones under wrought-iron balconies stamped by Spanish imperialism, I had never been more bruised by the colour of my skin. Nagging mutters of “China, China” set racial catcalls to the beat of tropical music that streamed to the street from open windows, while all I could think was that I’d never set foot in that part of East Asia. It was worst in the sightseeing districts, where cars, immaculately kept from the ’60s, gleamed like pastel candies behind drivers hustling for a job. “Chinita, China, just 50 CUC for an hour!” Disillusionment was bitter on my tongue. I had no taste for it, but let it thicken there anyway. Their gaze would sweep over my darker skin, coming to rest on my double-lidded eyes. And that was that. Are there words to describe the way that my voice shrinks in my throat every time I try to describe this rift, that can take every moment of detachment and longing, and string them together in a path we can walk, so I can show you how wearying it is to wander? How wearying it is to always be wanting, always in search of that far-off place where they might see me, and know me, and finally understand. This search that has slipped under my skin, tangled itself in my nervous system so that I feel it always. It has grown more native to me than any place or nation ever could — and still it aches. Is there a way to capture that feeling? I’m still looking for one. Somehow, even now that I’ve left home, the souls and rhythms of Chinese-Canadian communities never change. Same rivalries, same essential questions of allegiance. Nothing left behind from where we came from. “Neither,” I always respond. I watch the fleeting confusion cross their face every time, as they try to make sense of me. 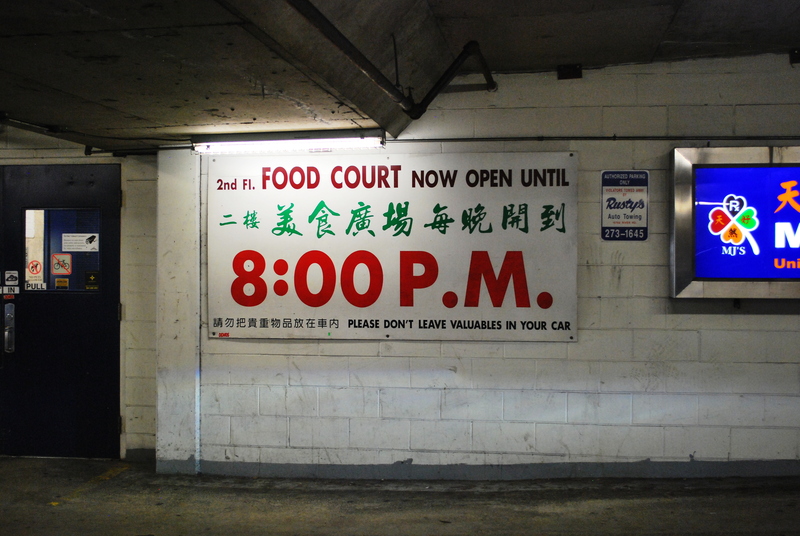 If I leave it at that, the inevitable conclusion is, “Oh, so not Chinese, then.” Sometimes I attempt to explain my family’s language — an orphan of the diaspora, pulling words from two nations, native only to Manila’s Chinatown. The bottom line, though, is that there are times I may blend in, but I will never be taken as one of yours. No matter where I go, that seems to be the truth of my heritage. Ever since I began dreaming of the world outside my hometown, I had always thought that I’d leave that sense of disbelonging behind once I made it out, as thoughtlessly as shedding a raincoat and shaking all the drops off, clean and untouched underneath. But I’ve crossed the country to get here, taken my place on one of those airplanes I’d traced from my window as a child, watched the glittering lights of my mountain city fade away beneath the clouds, and everything feels the same. I’m finally out, and I still walk an extra 20 minutes to the Asian grocer where I can’t understand the signs or the cashier’s greeting, can’t stop myself from gravitating toward the familiarity of that nine-toned language that, after all these years, still means nothing to me. But I think I am beginning to understand that the divide I have always inhabited, that has chafed and pulled at me all my life, is where I feel most settled. It is as though that sense of unease has seeped into me and made me its own to claim and to hold — and it has been there all this time, waiting with steady patience for me to notice.